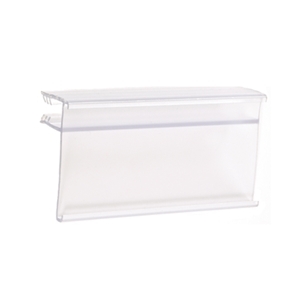 Our Clear Gripper Display Track clips securely on the front edge of wood and glass shelves that are 1/4" thick. The open face "C' Channel design easily accepts 1-1/4" tall x 2-1/2" long data tickets, tags or signs. The gripper display track is the perfect solution for retailers to inform customers of prices and product information. Simple to install, remove and reuse.